Vogue 1287 – It won and I lost! I pinned the top of the dress together and the bottom of the dress. Geez! Who designed the pocket in this dress! Yikes! What a convoluted trial that it is was! I just wasn’t able to get the muslin to fit the dress form nor even fit me – although I don’t have any pictures of me in it. You’ll just have to take my word for it. So I unpinned the whole muslin and threw it away. Now, I will start on something else. 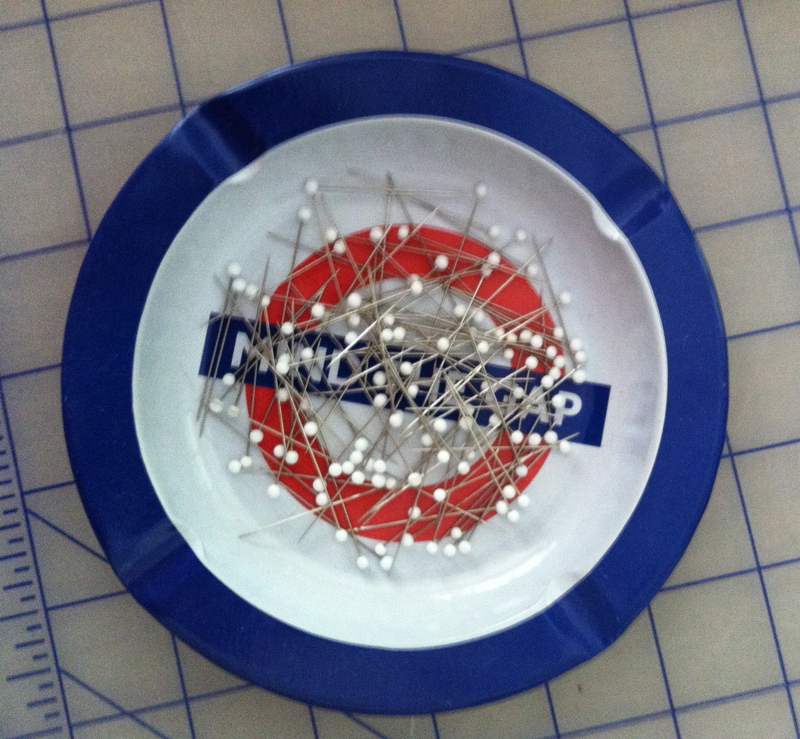 Just as soon as I poke all my pins back into my pincushion. « Are two really better than one? I’m also too lazy to make a muslin. bad thing about that is that I’ll fail with the fabric I like. The good news is it can usually be changed into something completely different. on the other hand there are a few unfinished projects in my fabric closet. My unfinished projects could fill my fabric closet! Aw, sorry to hear. I also have a Vogue dress in the UFO pile. Not throwing it away, but definitely found it to be cursed somehow. That’s too bad! Do you think the muslin itself could be to blame? It looks like that dress is meant for a more drapey fabric. It doesn’t look bad to me, so maybe some of the imperfections you’re seeing would shake out in a less stuff fabric. 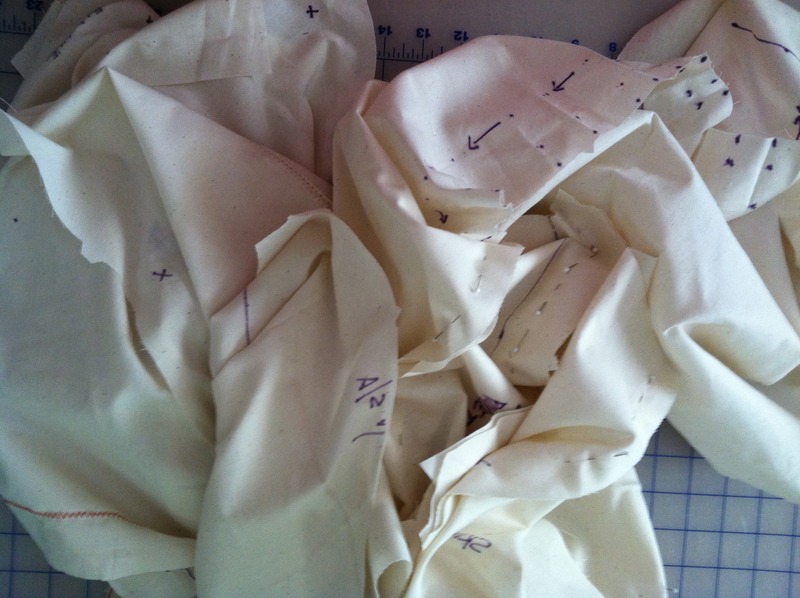 Maybe – the pattern is for either for a knit, which obviously the muslin is not, or a stretch woven which is what I planned on using (a stretch charmueuse – sp?) 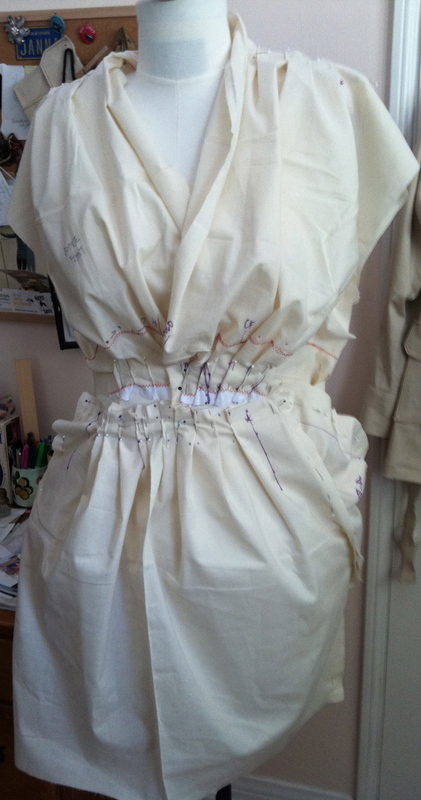 so I had thought the muslin was pretty close to the weight/drape of the stretch woven, but I still had troubles. I did read all the reviews of this pattern on Pattern Review and although many have sewn the dress all the reviewers struggled with the pattern draft. Maybe I was doomed before I began? Maybe I just need to step away for a bit.